SSi Performance customer George P in Puerto Rico decided to take his 2018 F150 2.7 Ecoboost to a dyno. He knew it was fast and was very pleased with his gains. The total power band or “power under the curve” was excellent with gains of 100 plus in both HP and Trq. His mods are a drop in filter, 170 thermostat, and approximately a 25 to 30% E85 blend of fuel. 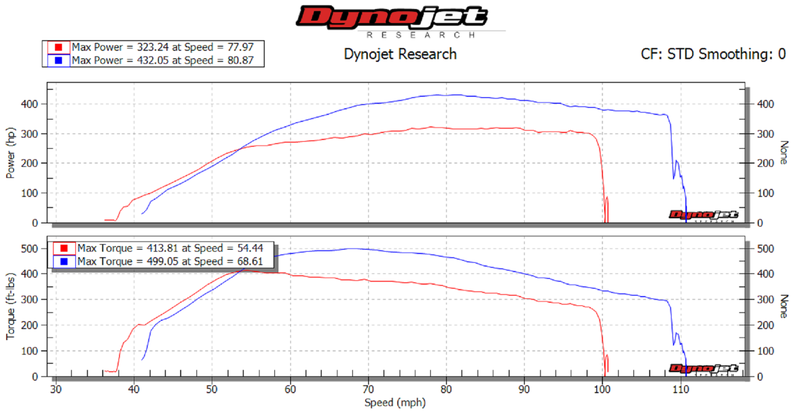 This was done with just a mail order tune with no adjustments, or revisoins made on the dyno. This was in Puerto Rico at an independent dyno with temperature in the 80s. We have some other 2018 F 150 2.7 dyno sheets done with other independent dyno shops that also have some great results we will be posting soon as well. 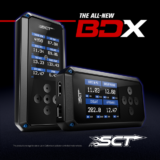 These are real world real time independent dyno numbers and not a “Home Tuning Shop” dyno sheets. 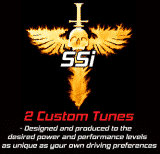 This showcases why SSi Performance dominates with performance tuning especially with email or cloud delivery tuning. Stay Tuned!